Home Numerology Angel Number Meanings Triple Digit Angel Numbers Meanings Angel Number 717 Meanings – Why Are You Seeing 717? Some coincidences give you a feeling in your gut. You jolt awake after oversleeping and see your clock flashing 7:17am. You grab a coffee and a muffin at the train station and you notice that the total is $7.17. The advertisement on the back of the seat in front of you has a phone number ending in 717. When you arrive in the office, one of the door passcodes has been updated to 717. 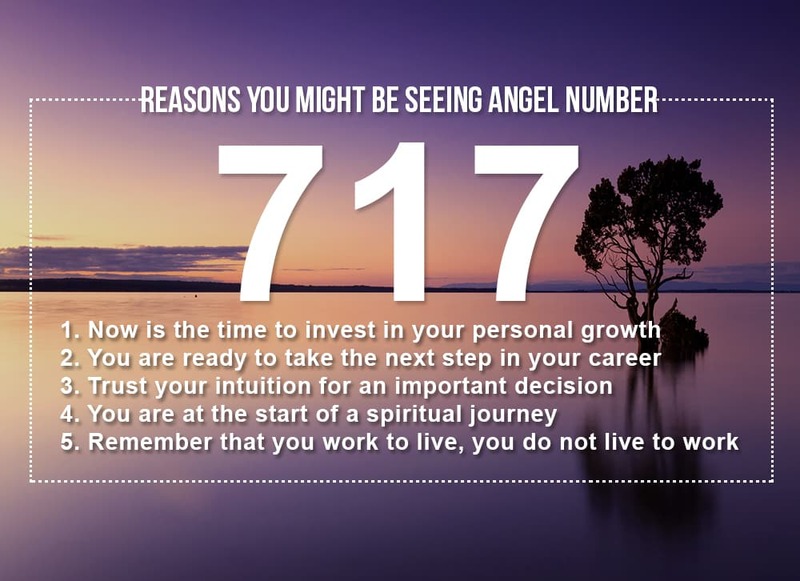 Why has the triple digit Angel Number 717 decided to take a foothold in your life? What does Angel Number 717 mean for love? Sometimes, when we are struggling with an important question, Angels will send us answers. They do this by nudging us to notice signs in the world around us. This nudge pulls on our intuition letting us know in our hearts that it is more than just coincidence. Often these signs will come in the form of numbers. This is not only because they are everywhere and therefore available when needed, but because numbers, universal across cultures, are the building blocks of the universe. As such, each carries specific information about the universe, that we can decipher. What could the Angel Number 717 be trying to tell you? Often when we get to a certain point in life, we think that it is too late to make changes. It is too late to go back to school, or pursue a new career, and it is self-indulgent to invest time and money in personal growth. Angel Number 717 can appear to tell us not only that it is never too late to learn new things or change directions, but also that now is the time to embrace that path. If we have been considering a new course of study, or a travel experience, or anything that involves personal growth, now is the time to do it. Angel Number 717 is often linked with our professional lives, and is a sign that we are ready to take the next step in our careers. Perhaps we have been reluctant to put ourselves forward for a promotion or opportunity because we think that we are not ready. 717 is a sign that we are. It also suggests that we do not need to wait for opportunity to come knocking. We have probably already identified a need that we can fill. Have the confidence to move into that space. When we are faced with an important decision, it is important to have as many facts as possible so that we can weigh the different options. But we should not let ‘fact-finding’ evolve into procrastination. No one can ever know everything, as the future has not yet been written. Angel Number 717 can show up to tell us that we have all the information that we need to make an important decision, and now it is time to trust our intuition. Our subconscious can put facts together in a way that we do not necessarily understand. Sometimes we feel like we do not fit in our lives anymore. This is not because our lives have changed, but rather because we have changed. The things that used to be important to us, and the things that used to fit, no longer seem right. The 717 Angel Number can appear in these times to tell us not to be afraid. We are not losing ourselves, we are finding ourselves. It is our own spiritual growth that is causing us to outgrow other things. Embrace the journey and see where it leads. While Angel Number 717 can often show up to tell us to move forward professionally, it can also remind us that work is not everything. Perhaps we have been burning the candle at both ends just to stay in the same place professionally. Or maybe we are being asked to take on new responsibilities without clear reward. We may be shown the number 717 to remind us to ask ourselves why we are working so hard? Are we receiving financial rewards that are necessary to enhance our lives? Is our effort helping us achieve new things that feed our passion? 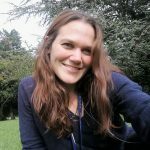 Are we helping people who need it? 717 asks you to remember what you are working for. If you are not getting the results you desire, perhaps some of your energy would be better spent elsewhere. When it comes to romance, 717 reminds you to trust your intuition. While we should never judge a book by its cover, when we meet someone new, we know pretty quickly if they have the potential to be a romantic partner. If they do not give you that feeling, don’t try and force it because they tick certain boxes or you fear loneliness. Trust your intuition. Also trust your intuition when in a relationship. Things may seem good on the surface, or they may seem bad and friends may question why you are with a certain person. But you know in your heart whether a relationship is right for you and whether it is working. If things aren’t working, remember that you can’t change someone else, only they can change themselves. Focus on working on yourself, even if that means moving on. While Angel Numbers carry specific information, and therefore can deliver specific messages, it is up to us to understand the message that the Angels have for us individually. Pay attention to what was in your mind or what you were doing in the moment when you noticed the numbers. Angels will nudge us to notice these numbers when our question is in front of us in one way or another. They want us to have the context to decipher their answer. Let’s take a closer look at Angel Number 717. It is a combination of the number 1 in the centre, surrounded by the number 7, the significance of which is multiplied by its duplication. Angel Number 717 is also linked with the number 6 as in numerology we often reduce numbers to their single digital cardinal number. In this case 7+1+7=15, which is further reduces to 1+5=6. The number 1 is the first of the cardinal numbers and as such is inextricably linked with beginnings. It is connected with the creational forces that shape the universe in which we live. But creation is not some mysterious force. We all contribute to shaping the universe with our actions and decision. These have a profound impact on our immediate world, and a knock-on effect for the universe as a whole. With this power that we have as creators, the number 1 is also a number of ambition, leadership and action. The number 7 is linked with the spiritual and the esoteric. It reminds us that not everything in this world can be understood with our eyes and with our ears. Sometimes we need to trust our intuition and our deeper, less understood, senses. The number 7 sits at the beginning of the path to knowledge, and is often linked with a rapid growth in our understanding of the world. This could be something formal, like a course, or something informal, such as an experience. The number 6 is linked with things in the material world, such as profession and finance, but also home and family. It is usually suggestive of abundance in this area and new opportunities. It is not wrong to want material prosperity. The security that this provides gives us the confidence to grow in other parts of our lives. The number 6 is also linked with ideas of balance, and the need to balance all aspects of our lives. At its core Angel Number 717 is a 1, and is strongly suggestive of our need to take action and take control of what is going on in our lives, and of the future. With the strong presence of the number 7, it suggests that now we should focus on learning and growth. It also suggests that our intuition is strong and that we know in our hearts what we need to do. Finally, 717 suggests that the things that we set in motion now will bring some kind of material abundance, that will help us on our life journey as a whole. Do you seek guidance and insights into the past, present and future, with regards to relationships, love, or money? 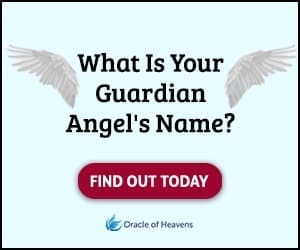 If you are frequently seeing the 717 Angel Number, take this popular free test to see whether your Guardian Angel is trying to send you an urgent message. Have you been seeing 717 everywhere? 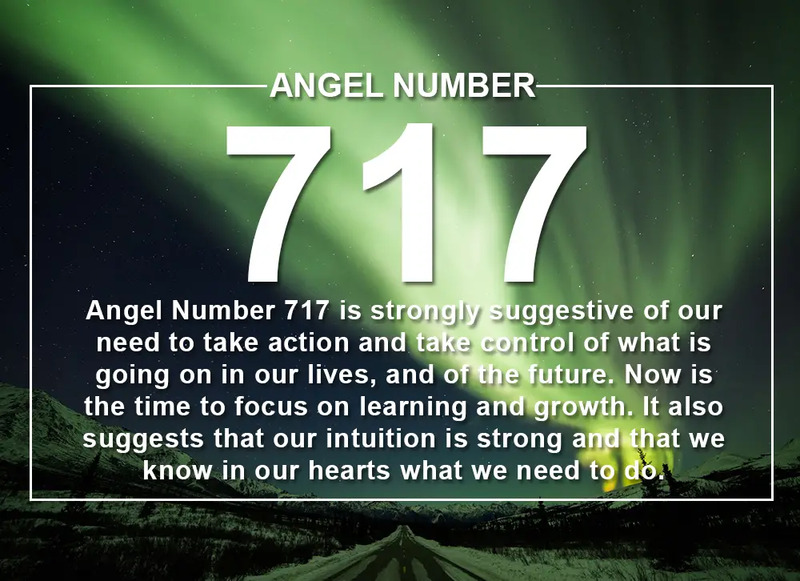 Angel Number 717 suggests that we should focus on learning and growth. Learn the important meanings here.